The State Government's SuperTowns Program is offering more opportunities for people choosing to live regionally. The $85.5 million Royalties for Regions-funded initiative supports nine towns in the southern half of the State to attract and stimulate growth, maximise opportunities and prepare for the future. Boddington is proud to be one of those nine towns. We have recently completed a Growth Plan which positions the town and the district including Wandering and Williams for investment, growth and whole of government support. These plans are a vital tool in aiding the SuperTowns to transform into thriving regional centres. The Growth Plan sets out our community's distinctive vision for the social, economic and spatial growth of the district in light of the State's population growth. With the recent endorsement of these plans by the Western Australian Planning Commission, it has confirmed the commitment from the State Government to work with the SuperTowns to achieve their goals. The Growth Plan comprises two volumes, with Volume 1 being large, so it has been divided into separate downloadable parts. The Appendices, and four A3-sized plans are separate documents. The following project Business Cases were submitted for funding on 6 March 2012. 1. Ranford Water Capacity 2. Recreation and Leisure Centre 3. Economic Development Implementation Stage 1 4. 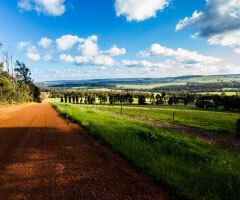 Affordable Land in Boddington (Commercial in Confidence) Click on link for details. Successful projects that will recieve funding are Ranford Water Capacity $1,250,000 and Economic Development Implementation in the Boddington District $1,173,298; total $2,423,298. These funds were received in June 2012, for expenditure in 2012/14.